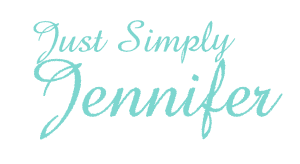 Divorce Signing Scheduled | Just Simply Jennifer! Yeah, to me it seems like Adam has been gone for quite awhile, but it has been 5 months now. Well, our divorce is going to be final next Thursday. We go sign it in the morning on that day. I am so happy because of this…I know that probably isn’t the normal feeling for this type of event. People always tell me how sorry they are when I tell them I am divorced or getting a divorce, but honestly…it isn’t a very sad event for me. It is almost joyful. My divorce being final means that I can go see what financial aid I am eligible for at the college and see how broke I will ultimately be. It will determine if I decide to go full-time to college while driving bus and barely paying my bills or if I go to school part-time and get a full-time job to help me pay my bills more easy. Changing the subject, I found this Kiss photo online today and had to share it here. It is a beautiful story/photograph.